My little sidekick is already two months old! As I write this, my little man is sleeping all snuggled up against my chest: his little hand gripping my sweater. Every few minutes he chuckles or smiles in his sleep. 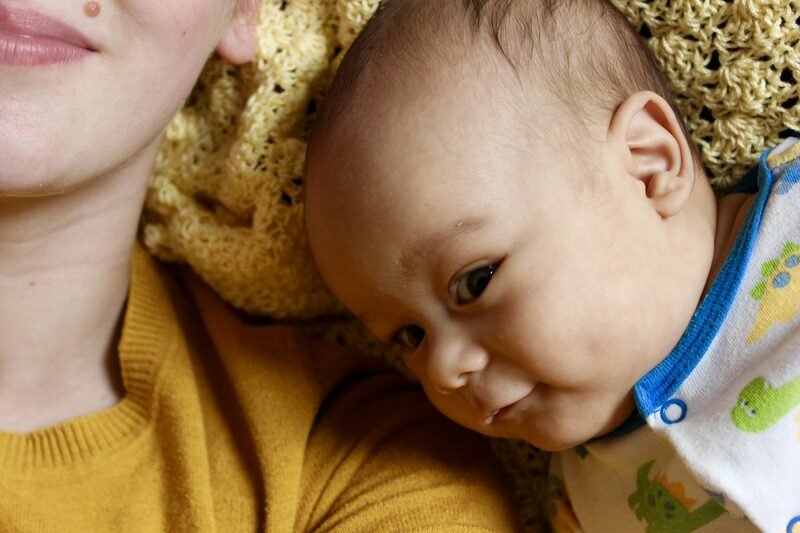 A friend told me that once my baby came, that I wouldn’t remember a time when he wasn’t in my life. While that hasn’t held true for me entirely–I still remember life pre-Gideon–it is true that it seems impossible that there was a time that I didn’t know this sweet little soul. The last month has been both incredibly tiring and sweet. 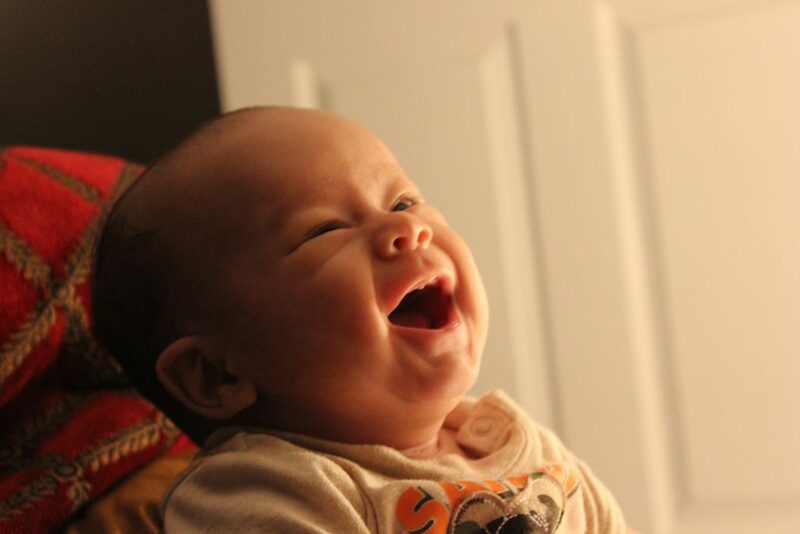 Within just the last couple of weeks he has started laughing and smiling multiple times a day. He, also, has started to follow us with his eyes–if Saia is walking around the room he will crane his little head to watch him and keep track of him, and if I move my face out of his line of sight he quickly locates me. It has been so much fun to see Gideon become more interactive, and intune to the world around him. Look at that cheeky little man. Can you spot his dimple? He has started napping less throughout the day, and has become more attached to me which has made it really tough to get anything done, but I know that it won’t be long before he is on the go, and doesn’t want to cuddle with his mama so much, so I am soaking in every moment with him. I’ve started making a few small trips with him by myself. Up until the last few weeks, if I drove anywhere it was always with my Mom, sister or Hubs to help with Gideon. While I still feel a lot more comfortable with someone else along, I have been trying to get out of my comfort zone, and take G on my own sometimes. Every outing we go on, even if he is fussy, makes me feel more confident in my abilities to take him out in public. 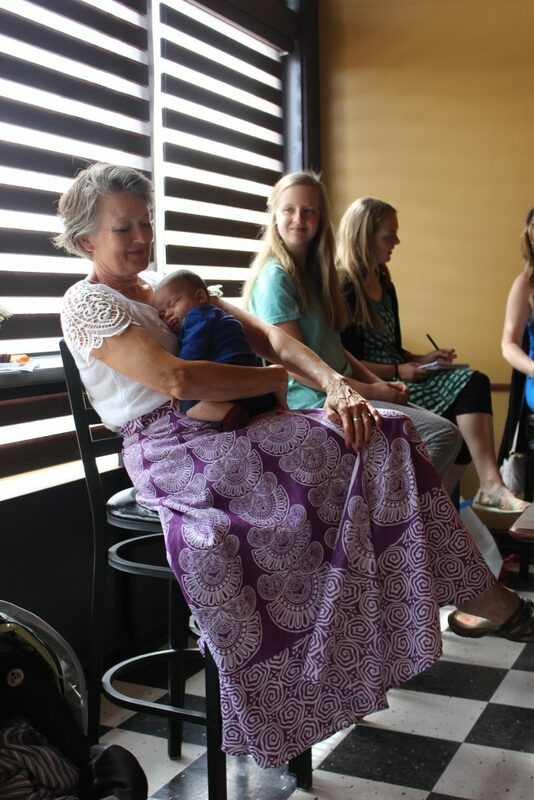 My Mom with Gideon at my baby shower a few weeks ago. 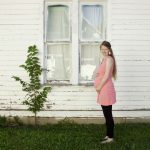 What to expect next month: By the third month, baby is supposed to have developed a loose feed/sleep schedule instead of it all being erratic. Here’s hoping! Clothing size: We just switched to 0-3 month!! I feel a little sad looking at all his newborn things. Oy. He was such a tiny little guy when we brought him home from the hospital, and some of the newborn clothes were baggy on him! They were just about skin-tight before I pulled out all of his clothes in the next biggest size. I didn’t have many winter things in that size, but luckily my sweet sis-in-law sent me a box of clothes, and my aunties gifted me a bunch of items in our baby shower we had two weeks ago. 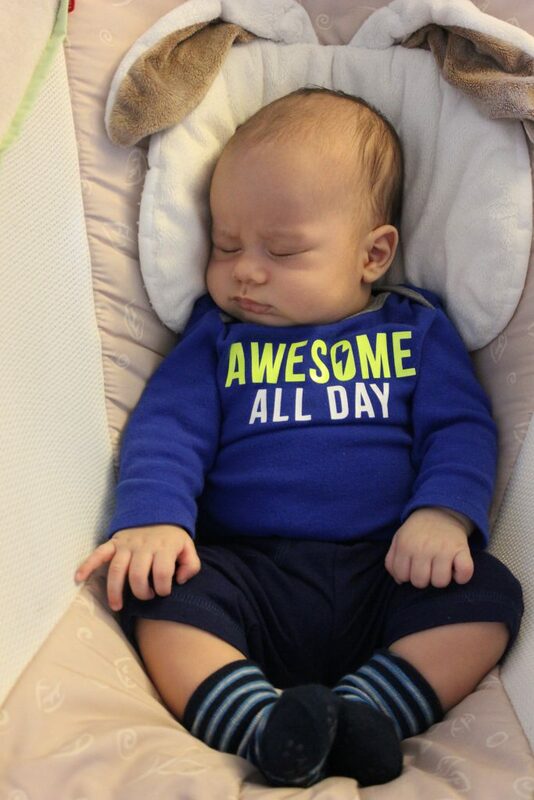 Favorite clothes: Right now I am loving putting him in all footy pajamas. 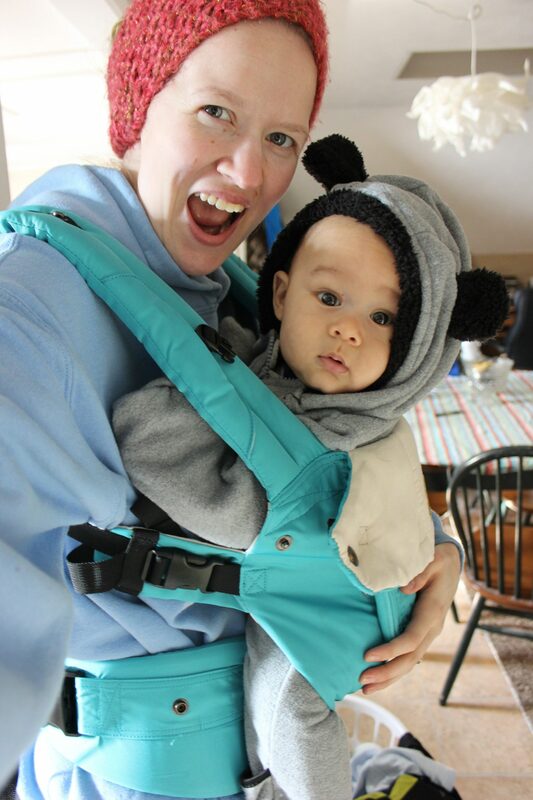 We have A TON of onesies, mostly short-sleeve, but as the temperatures get colder I don’t like his little arms bare, and I would far rather unsnap some jammies to change his diaper rather than pull off some pants, and then unsnap a onesie. I, also, like that the jammies are just one piece rather than dealing with a onesie, pants, and socks (which fall off frequently). 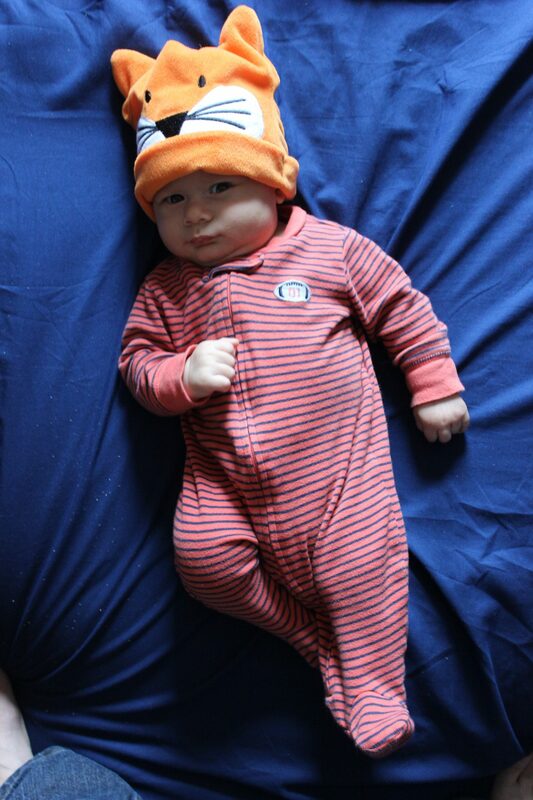 I love this little fox hat, and am getting as much mileage out of it as possible before his little noggin outgrows it. Diaper size: Still in size 1s. I knew from the get-go that I didn’t want to cloth diaper. Actually, I will take that back, I really did want to cloth diaper, but after doing some research (and asking cloth diapering moms for advice) I decided not to because we pay for our laundry, and share our washer/dryer with three other apartments. I, also, just didn’t think I’d want to do laundry that often when it involves quarters, hauling it up and down the stairs, etc…but now that we are in this whole diapering gig, I am second-guessing. We have a big store of diapers from my two baby showers which we are using (and should last us awhile), but once those run out I think I will dip my toes in cloth diapers, just to try it. I might just buy a couple and see how it goes. The frugality of cloth diapers really appeals to me, along with the fact that they are a lot more eco-friendly. Firsts: I have started driving places with Gideon by myself! The majority of trips I’ve taken since having him have been in the company of my Mom, sister or Hubs. I feel so much more at peace when I have someone else driving or along for the ride, so that if I have to hop in the back to calm Gideon down then I can. He has been a really good traveler, for the most part, but I still worry. But I have started to need to take a few solo trips out of necessity–none more than half an hour, but that seems like eternity as anxious as I am—but they have all gone so well so far! I just keep telling myself that the more I get out, then the easier it will be. I have also started cooking meals again, and trying to keep the house a bit more presentable (although it has a long way to go). 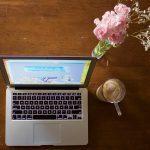 I am trying to treat my home as my job (since I am a stay-at-home Mom). So when I’m not bouncing a baby, or feeding a baby then I am cooking, cleaning. Gideon and I both caught colds this past month! Gideon has been becoming more and more interactive! Within just a week’s time he went from not really making eye contact to recognizing Saia and I, and following us with his eyes. He has several periods of laughing/smiling throughout the day, and when we had our baby shower he even laughed and smiled for the ladies holding him there!! He has also started “talking” to us more often, making lots of coos and sighs and grunts as he tries to communicate. Worries: Gideon’s belly button has always been an outie, and I asked my sweet friend who is a labor and delivery nurse to look at it, and she confirmed what research had been telling me that he has a bit of a baby hernia. It really sticks out, so I think we are going to the pediatrician just to ease our minds a bit about it. Also, I freaked out when I thought he had a big bruise on his bottom, until I researched (and consulted my friend) and fount out that it was, in fact, a mongolian spot which is a birth mark that darker skinned (or bi-racial) babies often get. This white-skinned gal had no idea! I, also, began to worry when I saw his soft spot on his head pulsing, but I read that is normal. Whew, this first-time-mama can really get herself worked up quickly!! I hope that I can relax as I get further down the road. Sleeping: Not much has changed, in this department, since his 6 week update. He still wakes up to eat around (and this varies every night) 8:30, 10, 12, 3, and 6. Usually he goes to sleep again around 7, and we get a little nap for an hour, before getting up to face the day. Feeding: He still eats a lot, and very often. There is nothing sweeter than his face after he has finished eating! He always holds my finger while he eats, and I just love that. Then afterwards a lot of times he is sleepy, and I watch as his eyes flutter shut and he cycles from sleep smiles to frowns to back again. I really get why so many women told me how much they loved breastfeeding. It truly is one of the sweetest, most meaningful experiences of my life. What he likes: He loves the picture above the changing tabl. Specifically, he loves the black frame against the tan wall, and he stares at it in fascination throughout every diaper change. I’ve even set him down there when he’s been fussy, because he loves looking at it. He loves when his Papa bounces him on the bouncy ball, when Mama feeds him and plays with him, and he likes being in constant movement. What he doesn’t like: He doesn’t like being set down for very long, getting into the baby carrier (although he is okay after he’s been in it for a few minutes), tummy time, or lying down when he is awake. Don’t want to forget: They way Hubs dances with him, and plays ukulele to him. The nights that he slept cuddled up on top of me while we listened to the rain outside. Things I’m looking forward to: Going to his first wedding, his first Thanksgiving, his first Christmas. Eventually taking him to play at parks. How’s Mama? I feel like my emotions have finally started to level out just a bit. I really haven’t felt like myself, emotionally, ever since the birth. I’ve felt at times anxious, depressed, and sad (not all the time). I feel like in the past week or two as I have finally started to feel back to normal physically, started to get out of the house more, and started to get back in the swing of household chores and virtual assistant work that I just am feeling more normal, and less frantic. I’m falling in love with this little guy more and more as he starts interacting with the outside world more every day! 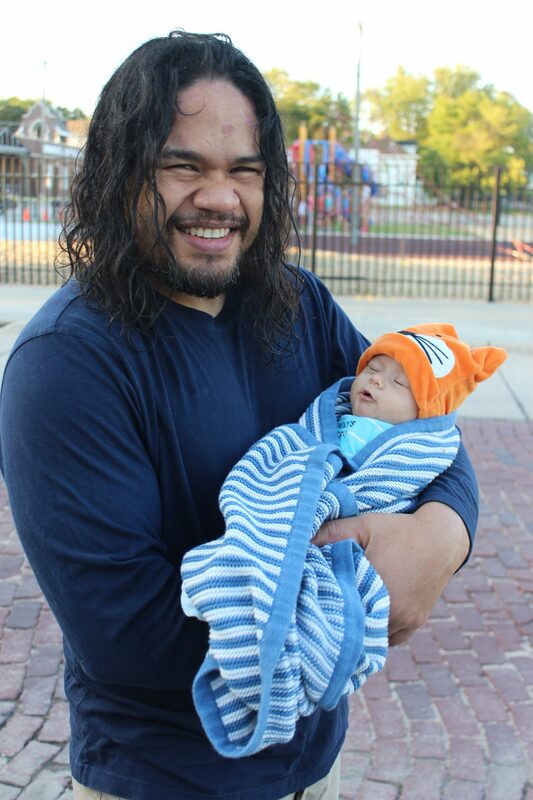 Going on a walk with my two Lotulelei boys. What’s going on in the Lotulelei household? Hubs is studying music, and preparing to apply to grad schools. I’ve been doing my virtual assistant work. We’ve started a new healthy diet (fish, chicken, lots of veg, and whole grains), and are talking as many walks as we can before the weather turns frigid. He’s such a cutie! Love those big eyes! 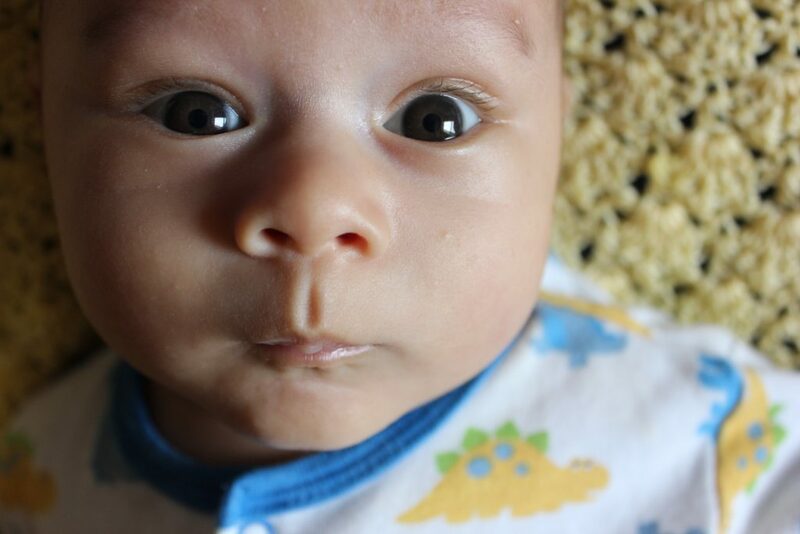 My little brother had “mongolian spot” birthmarks when he was born–the nurse in the baby nursery noticed, but hadn’t seen my dad, so she asked mom what ethnicity her husband was. And my dad’s an ultra-pale, blue-eyed Dutch boy! Thanks for your perspective, Katie! Yes, just getting the basic cleaning done has proven to be a challenge. I didn’t realize how little free time I would have once baby boy was here! Ha ha! We shall see about the cloth diapering, it still is so intriguing to me, but at the same time it has been nice to not have to worry about laundering diapers. Thank you, friend!! Grady recently posted…The Stepmom Club Series: Amanda! Thank you, Grady! It has felt so good to finally get out and about a bit more. I didn’t realize how much I needed that, as an extrovert. Yes, cloth diapering is so attractive to me, but I’m a bit fearful of committing. I think just trying a few at first will help me figure out if it is something I want to invest in (and cutting down even a little on disposables will save money and a few diapers from the landfill, right?). Hope you are doing well!! What a sweetheart! Little babies and toddlers in footie pajamas are so cute 🙂 Happy 2 months! 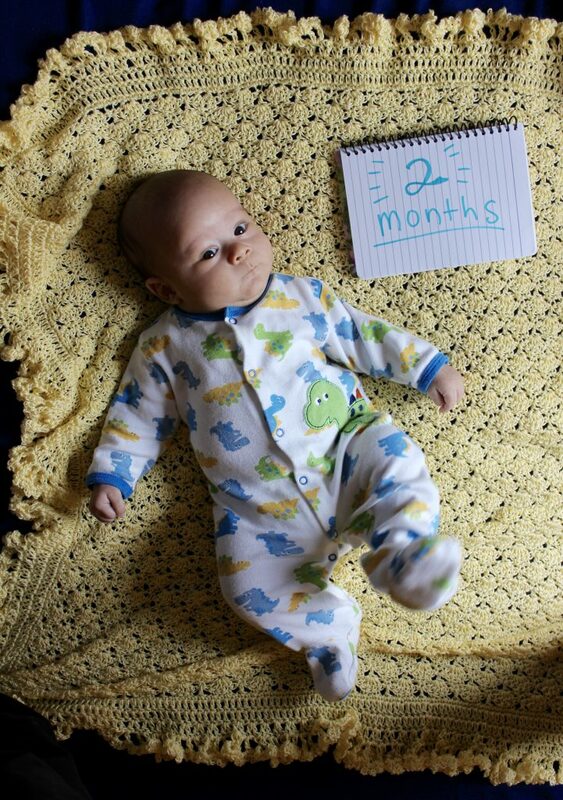 Happy two months to Gideon and to you and Papa Saia, too! 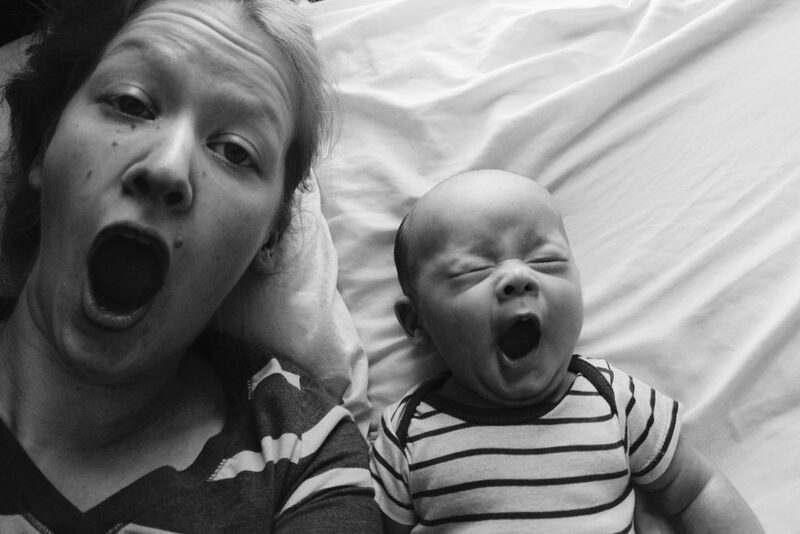 You have done a beautiful job of transitioning to being a mama. It’s SO HARD and there’s really no way to prepare yourself for it. You THINK you know what’s coming . . !! But you never really do. But God does give such GIFTS, doesn’t He? Baby Gideon of course, but Courage to do what you need to do, and stabilized emotions and return to strength in your body and mind, too. I love you! You are a beautiful little mama, and Gideon is a blessed little fella to have you! Beautiful update 🙂 Gideon is just gorgeous! I am with you on the belly button and dark spot concerns! Zoe had a huuuuge belly button, which popped out even more (and became really hard/tense) when she cried/coughed/sneezed. We asked all the nurses and doctors over Zoe’s first few months and not one of them were concerned. Our doctor said if it hadn’t disappeared by 2 years of age, then they’d do something about it! 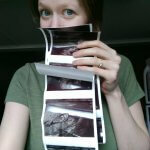 And then when Zoe was maybe 7 months (no idea when, exactly… my memory is very hazy!) it disappeared! Still an outie, and actually some excess skin, but it doesn’t pop out when she cries or anything. Phew! I’ll be praying that your emotional health will continue to improve. This is something I’ve thought about a lot since having Zoe, and I’ve noticed changes in myself at various times, whether I’m having time to myself or not, getting a break, if Zoe’s particularly demanding, etc (so many variables!). It’s so important we take care of ouraleves. Happy 2 months to Gideon, and 2 months to you and Saia, too! Do you do cloth diapering (or nappies! Ha! I like that word better than diapers, perhaps I can start a trend here in America to change the word), Rachel? Has it worked well for you? I’d love to hear your tips! I will definitely try a day’s worth, and see how that goes. That is SO fascinating that Zoe had the same two issues that I’ve been worried about with Gideon! What are the odds?! I am so happy to hear that her belly button resolved itself. All of my research has been telling me that it really isn’t anything to worry about unless it starts showing others signs or he gets older, and it hasn’t gone down in size. Yes, I never realized that I’d need to be super intentional about self-care after having Gideon, but boy do I notice it if I am not doing things here and there to keep my mind healthy (whether that is doing blogging work after he’s asleep like right now, taking a long shower when Hubs can hold him or going to a coffee shop to get out). We mamas have to hold each other accountable to take care of ourselves! !